What Foods Should Dogs Not Eat? Everyone likes to sneak their dog some scraps off the dinner table every now and then. When asking the question of what foods should dogs not eat, you should consider that your pantry may be full of poisonous foods for dogs. Always be careful of what you feed your dog. Anything with chocolate is well-known to be off-limits for dogs, but why? All chocolate products contain a chemical that can cause an adverse reaction in dogs, even though it causes no effects in humans. The reactions that dogs have to chocolate can vary greatly, depending on the breed of dog and the amount of chocolate ingested. But serious complications, like diarrhea, vomiting, and death are common. Grapes and raisins are high on the list of what foods should dogs not eat because they are extremely toxic. They have been known to cause kidney failure in dogs that eat too many. It’s relatively unknown why this occurs, although grapes do not have the same effects on every dog. Either way, it is better to be safe than sorry and keep grapes and raisins away from your pup. The vegetable is a favorite for humans to flavor food, but should be kept far away from dogs. Onions can affect your dog’s blood cells, and can potentially cause death. This goes for all types of onions and its relatives, including chives and shallots. Cooked, raw, and processed onions have the same toxic effect on dogs, and should be kept far away from them as much as possible. Even though humans regularly imbibe in alcoholic beverages, they are actually a toxic substance. Humans are able to process the toxins in alcohol, but it is much harder for dogs. A little bit of alcohol can seriously harm your dog, as it will experience the effects of alcohol’s toxicity tenfold. Fatal poisoning can very easily occur, so you should make sure you keep all open alcohol containers out of reach for your dog. Too much sugar can be very dangerous for your dog. But artificial sweeteners may actually be worse. Be sure to keep all sugar-free foods away from your pup. Chemicals like xylitol can contribute to seizures, extremely low blood sugar, and liver failure. If too much is ingested, it can cause death. The Central American fruit is packed with nutrients and is a welcome addition to any human diet. But they contain a toxic chemical called persin and are high on the list of what foods should dogs not eat. Persin is present in every part of the avocado. Some of the symptoms of ingesting the toxic chemical can include diarrhea, excessive vomiting, heart failure, and death. Many pet owners treat their dogs to a piece of cheese every now and then to reward good behavior. Some pet owners will even feed their dogs milk. But although dairy isn’t instantly fatal for dogs, it can cause many health complications for them. The majority of dogs are lactose intolerant, meaning that they cannot properly digest dairy products. Feeding your dog a little bit of dairy occasionally can cause bloating and excessive, smelly gas. But too much dairy over time can lead to diarrhea and pancreas issues. Try to keep your dog’s dairy consumption to a minimum. Yes, dogs are descended from wolves, and wolves do eat raw meat in the wild. But domesticated dogs are far removed from their wild ancestors. Just like with humans, eating raw animal products can be very harmful. Fish, poultry, beef and other animal products can be contaminated with salmonella. The bacteria is killed off when cooked, but can cause major stomach problems if consumed. Raw fish specifically can contain dangerous parasites that can cause death if your dog is not able to get treated promptly. If you think your dog has eaten contaminated raw animal products, look for some telltale symptoms, like lethargy and extreme diarrhea. Make sure to pay a visit to your local vet if these symptoms become serious. Salt is a major part of the human diet, although too much sodium can lead to health problems, both short term and long term. But sodium can also be harmful to dogs. If your dog ingests too much salt, it can cause excessive dehydration and digestive issues. Sodium can also be present in many brands of dog food. If possible, purchase low sodium dog food to optimize your dog’s health. Too much fat in a diet is not good for anybody, so it’s even more harmful to your dog. If your dog eats too much fat, its pancreas can become diseased. Fatty meats like bacon can also contain a lot of salt, and are generally not a good addition to your dog’s diet. The most important thing to remember is that even if the food is safe for humans to consume, it may not be safe for dogs. When feeding your dog, it is better to stick to dry or wet dog food that you know your dog can eat without complications. Although you may feel compelled to feed your dogs human food such as snacks, it’s better to stick to snacks that are made for them to digest. If they get a taste of your food, they will likely want more. This can lead to your dog developing poor eating habits. Because dogs don’t know any better, you should train them to stick to foods that are meant for them. It’s imperative that you keep the food listed above out of reach from your pets. 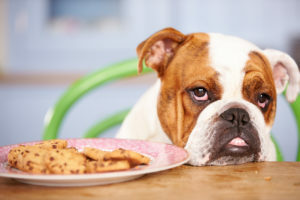 If you happen to leave food out on the kitchen counter, your dog may attempt to eat it, especially when you or your family is out of the house. 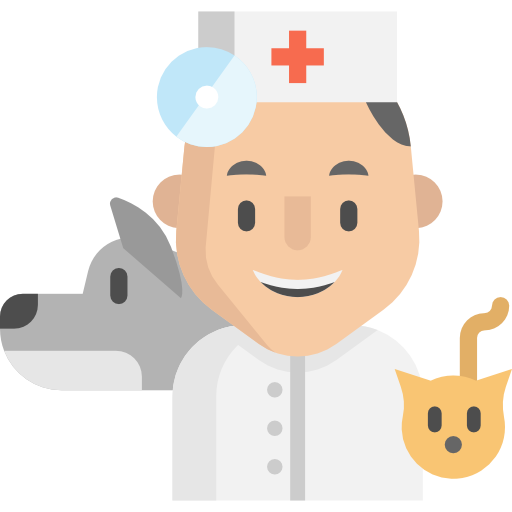 Obviously, the health of your pet is very important. For more information on what foods should dogs not eat or to add to the discussion, please leave a comment below!